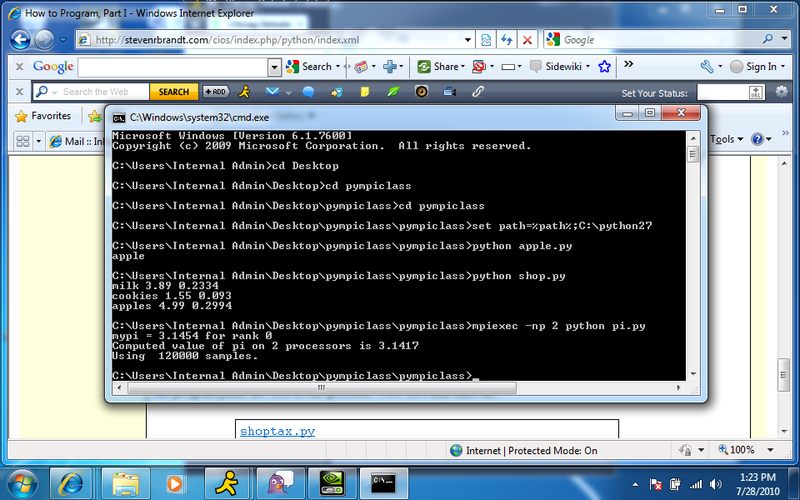 You download and install Python 2.X from this link. Download the complete course to the Desktop by clicking this link and browsing to the Desktop. 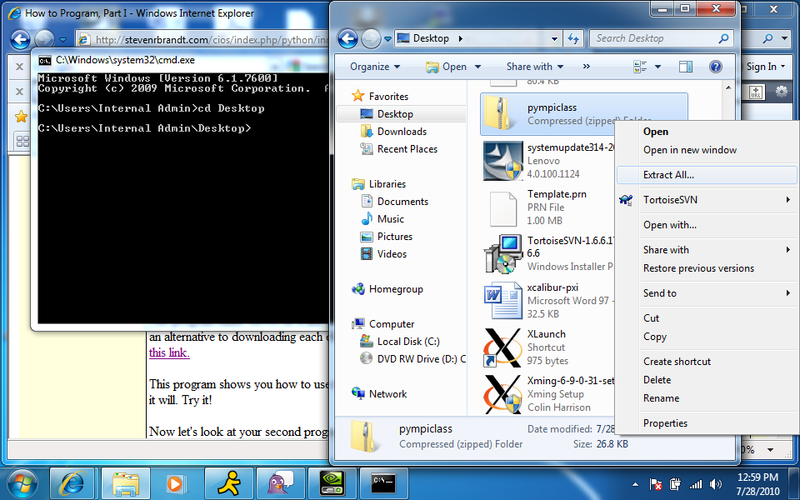 To set up in windows, we need to open a dos shell. 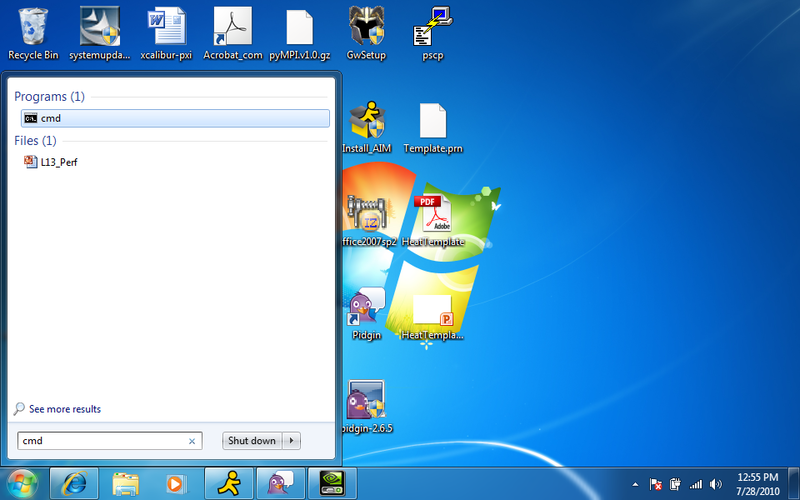 You can do this by clicking the windows button, and typing the text 'cmd' in the text box at the bottom of the menu. Hit return and you'll get your dos window.